Why are we asking you for extra information? d) we want to satisfy ourselves that you meet the criteria for migration to Australia so that we can then advise you of the most appropriate visa(s) for your circumstances. GLC Migration prides itself on providing honest, fair and accurate advice about your ability to migrate to Australia. What would you like to do in Australia? Please check all that apply. If you are currently in Australia, what visa do you hold? How many years of full time experience do you hold in this occupation? What is the name of the qualification? How long was the course? What is the name of the educational institution that awarded you this qualification? When did you enter into the relationship? When did you decide to get engaged? When do you intend to marry? On what date did you marry? On what date did you enter into the relationship? When did the relationship develop into a de facto relationship? 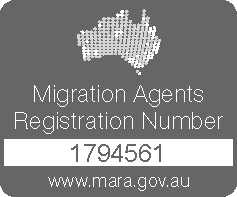 Please provide details of age and country or residence if children are migrating with you. If so, on what date did you move in together? If you work within the business, what percentage of your time is spent delivering services within the business? What is the total value of you and your spouse's (if applicable) business net assets in Australian dollars? What is the total value of you and your spouse's (if applicable) personal net assets in Australian dollars? What is your plan for investing in, or managing, a business in Australia? Why would you like to visit Australia? Do you have any friends or family in Australia? Do you have any friends or family in your country of residence? How long would you like to spend in Australia? How do you intend to finance your stay in Australia? Where will you be staying when you come to Australia? What type of Australian visa do you currently hold? Why do you want to continue holding a permanent visa for Australia? On what date did you first arrive in Australia on your permanent visa? On what date did you depart Australia? Have you ever applied for an Australian visa before? Please give details including location and type of visa applied for. have you ever been refused an Australian visa before? Please give details. Do you have any close family living in Australia? Please give details including location and nature of your relationship e.g. sister. Your Partners Date of Birth? Your Partners Citizenship(s). Please list all. Your Childrens names. Please list all. If yes, please provide details of diagnosis? If yes, please provide details including the nature of the offence, date of charge and any convictions or sentences that apply. Please list all formal qualifications, giving year of completion, name of the institution and the locat ion of the institution. Have you undertaken any study in Australia? Please give details. Please give results of any English testing. Two new skilled regional provisional visas will be introduced in November 2019. On 10 December 2018 the Migration Amendment (Family Violence and Other Measures) Act 2018 received Royal Assent. This Act establishes a sponsorship framework for the sponsorship family visa program. We expect that they will eventually apply this to partner visas and parent visas. However, at this stage it is only relevant for Sponsored Parent (Temporary) visas. If you are looking to lodge an onshore partner visa (820/801) in the foreseeable future, please contact us to discuss whether the impending changes are likely to affect you.